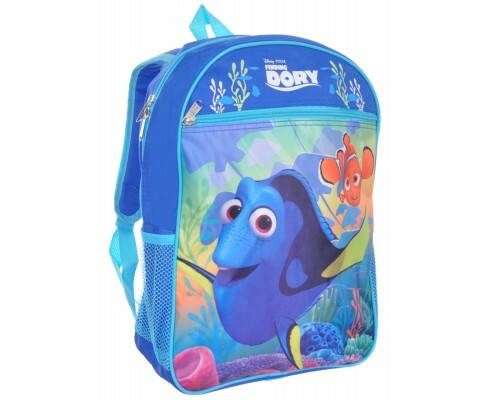 15" Finding Dory wholesale Backpack for back to school. 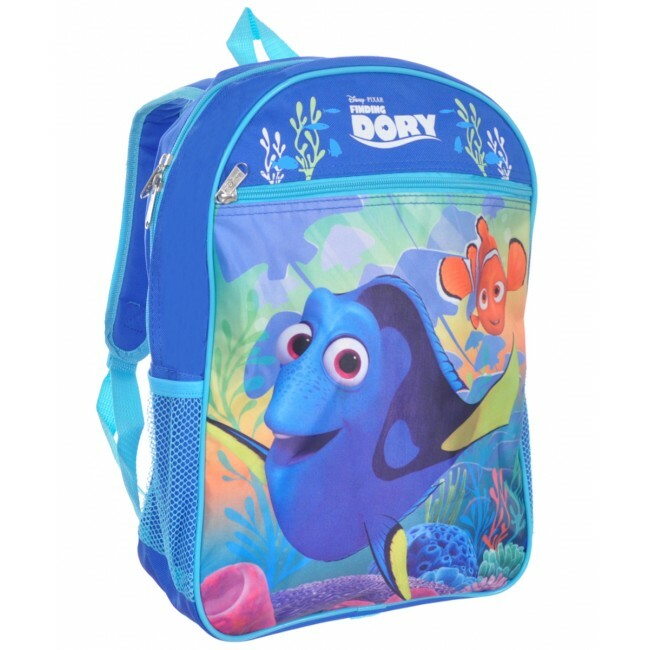 These wholesale backpacks have one of the best movies released by Disney's Pixar in 2016 Finding Dory. There is plenty of room in the main compartment, as well as the large zipper pouch in the front for all the school supplies. This wholesale backpack also features two mesh pockets on both sides of the bag, perfect for a water bottle or snack. You can never go wrong with these wholesale backpacks when you purchase them in bulk. Genuine licensed product.